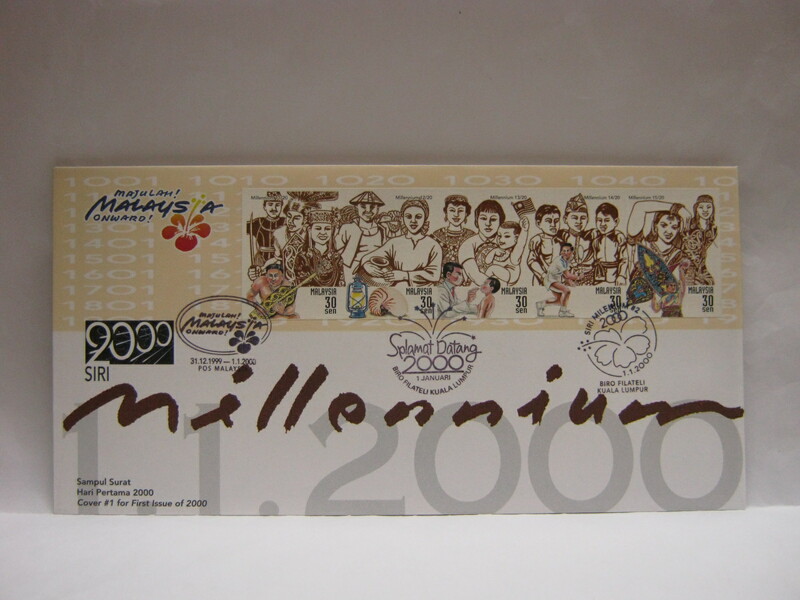 This page showcase the Millennium Series 1 and 2 issues. It is one massive issue as you will see as you scroll down. 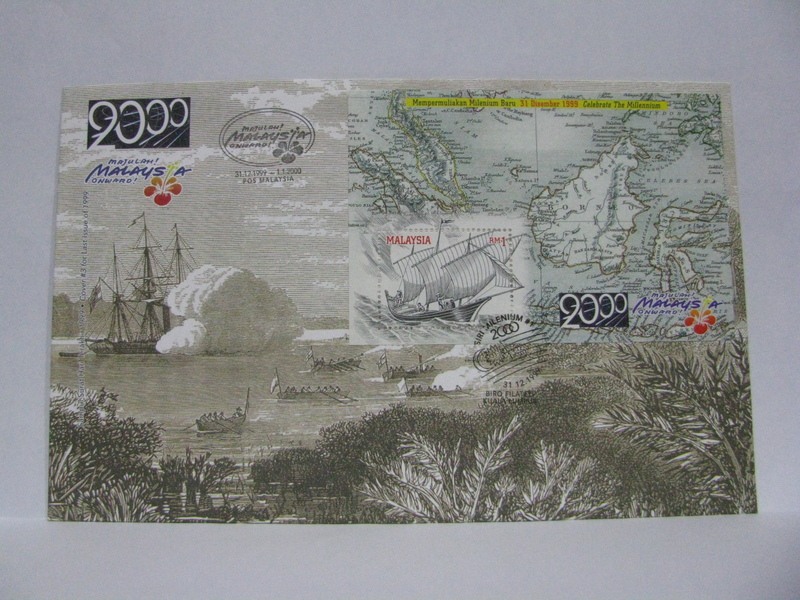 This set of FDCs was cancelled in Kuala Lumpur along with a Majulah Malaysia cachet. This was issued in the morning. 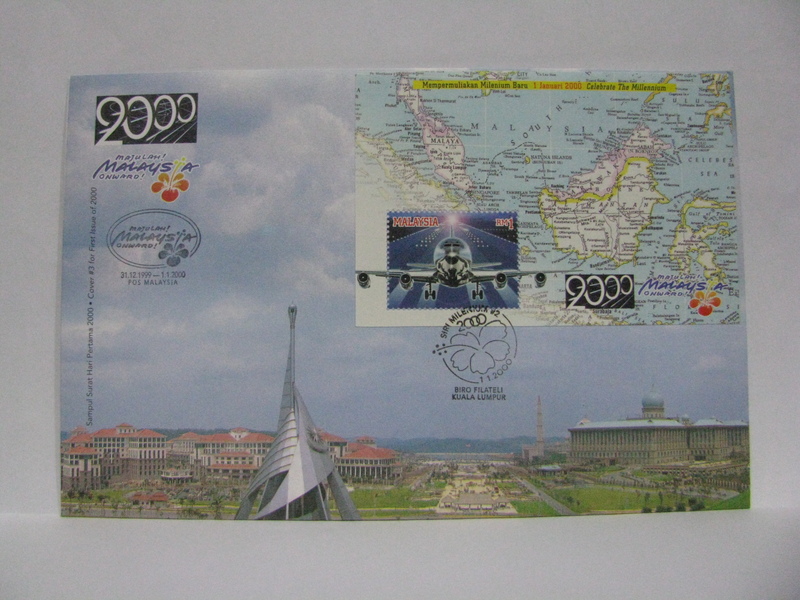 This FDC was cancelled in Kuching along with a Majulah Malaysia cachet. 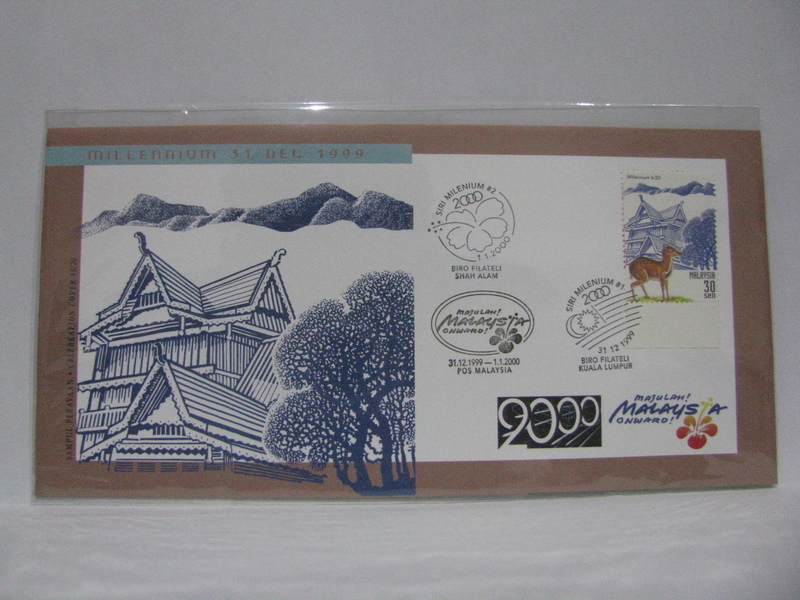 This FDC was cancelled in Kota Kinabalu along with a Majulah Malaysia cachet. 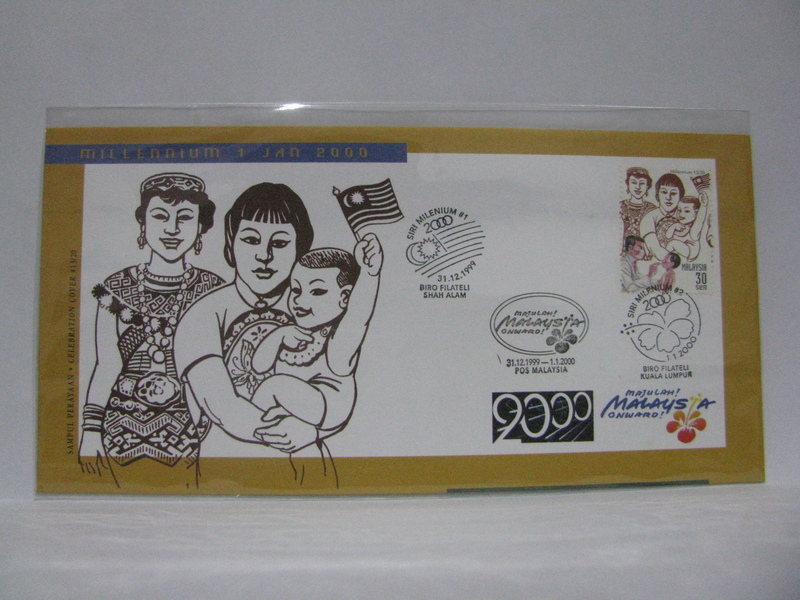 This FDC was cancelled in Ipoh along with a Majulah Malaysia cachet. 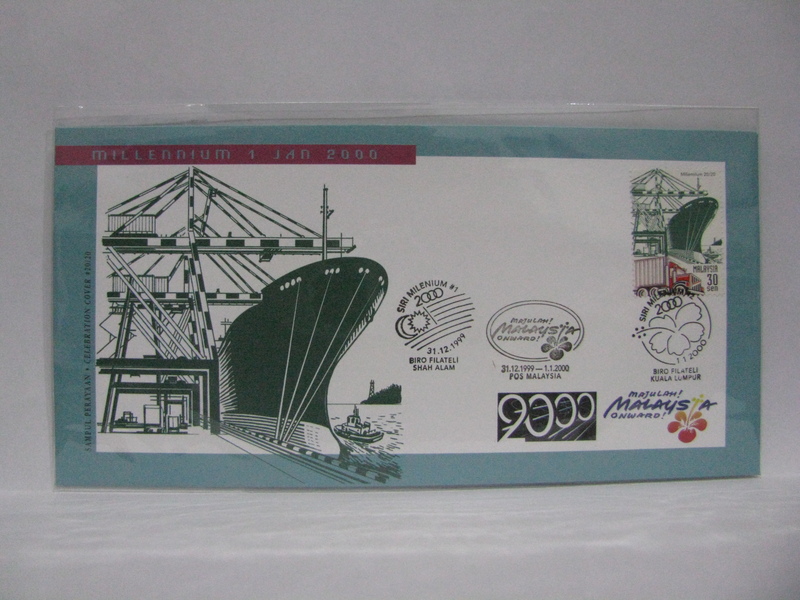 This FDC was cancelled in Melaka. 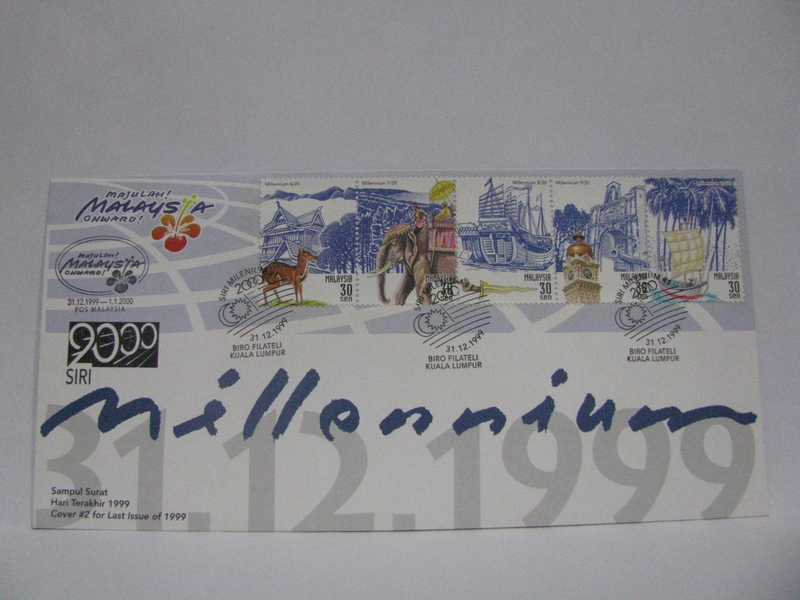 Many of the stamps on this FDC are related to Melaka. 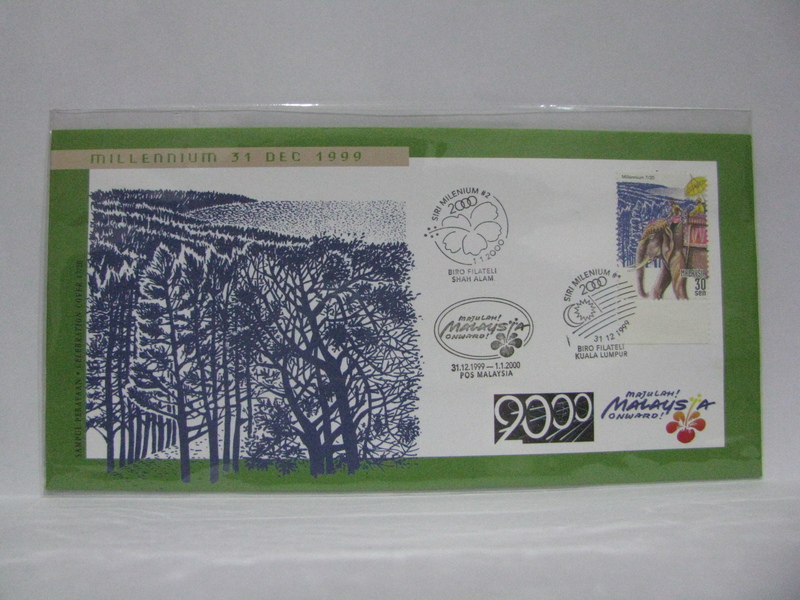 Here are the imperforate stamps on FDCs. 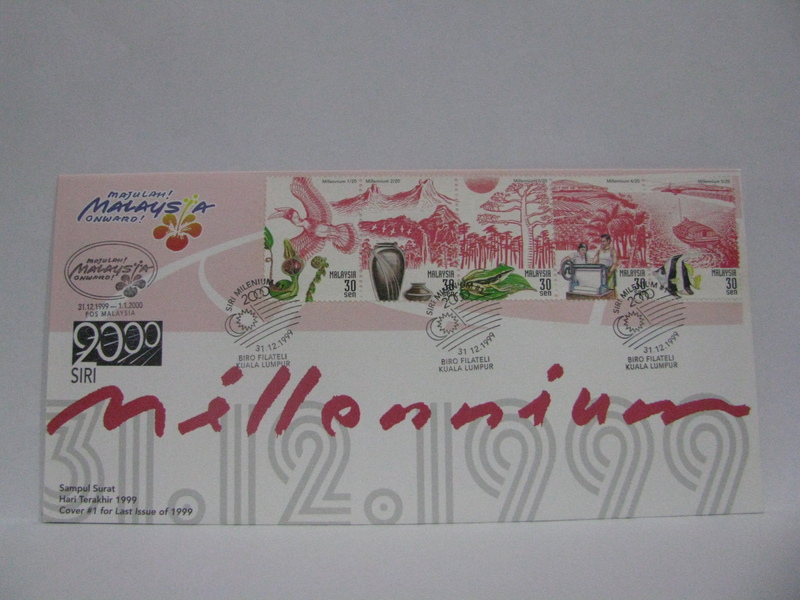 This set of FDCs was cancelled in Kuala Lumpur along with a Majulah Malaysia cachet and the Millenium Countdown Selamat Tinggal 1999 (Farewell 1999) cancellation. As the evening came, I went early to the General Post Office and reached there at about 06:30 pm. A slight queue was already starting. I packed some food (I did not drink much for obvious reasons!) and came armed with books and a folding chair. 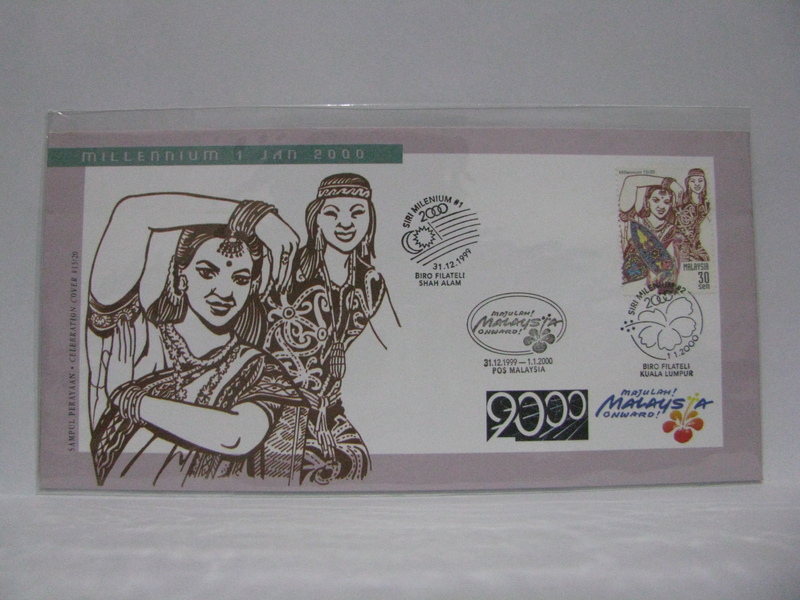 It was to be a long wait until midnight for the Millennium Countdown Covers. I even made it into TV3 when the crew came to report on the Millennium celebrations around town. I was lucky to be ahead of the pack as it was still orderly. Some late comers were starting to cut queue as midnight approached. Each person can buy only 1 set of covers. I made it out before 12:30 am! I reached home to turn on the news (TV3) and saw myself in the queue! So here are the covers that I had to endure 6 hours to buy! 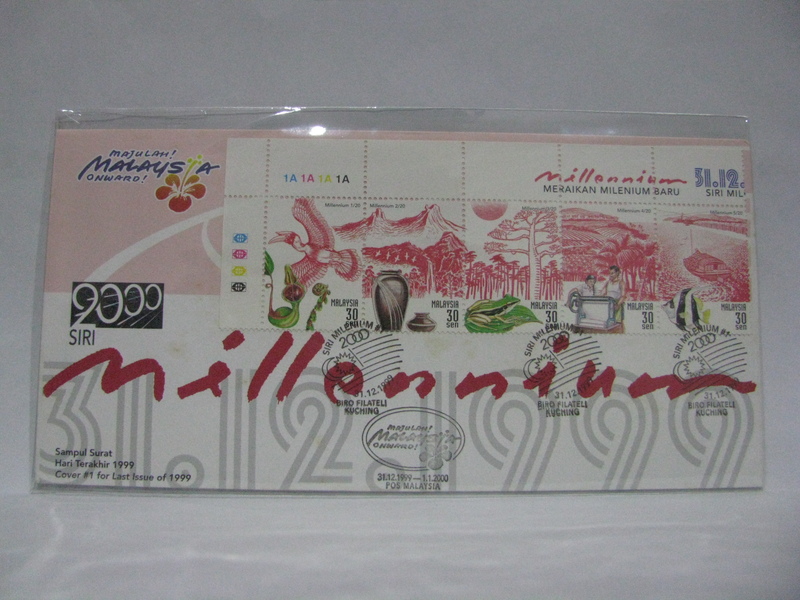 Cover 1: The cover was cancelled with the Selamat Tinggal 1999 (Farewell 1999) cancellation. 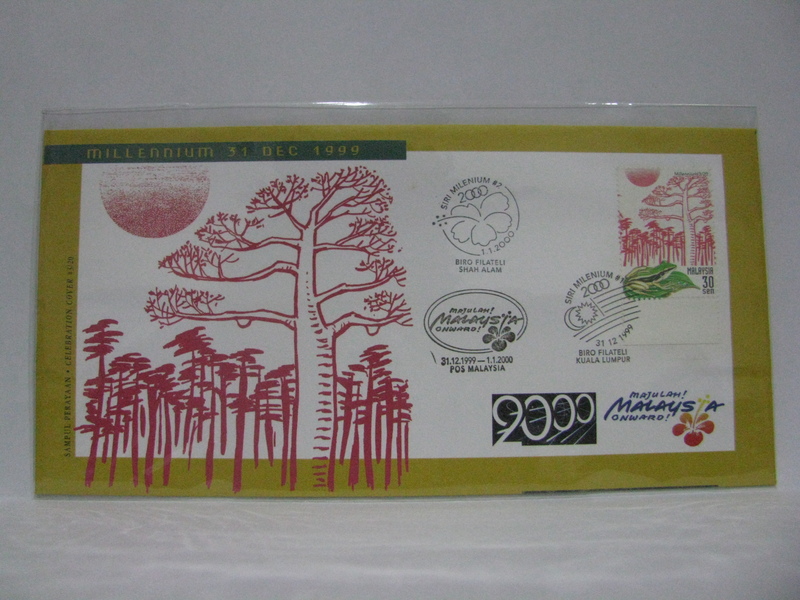 Strictly speaking the stamps should all be cancelled. However they were not. 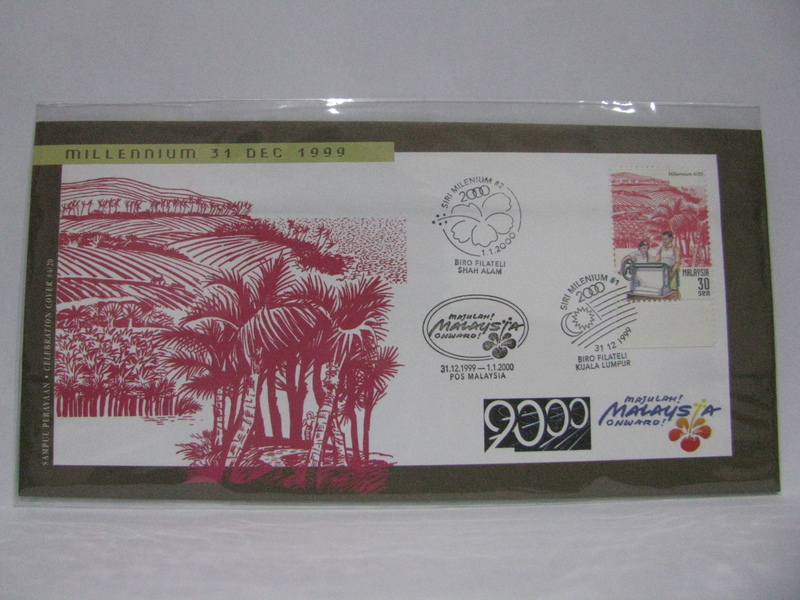 The covers were sold as a pack (pre-made) in quick succession, thus there was no chance to cancel the stamps anymore. 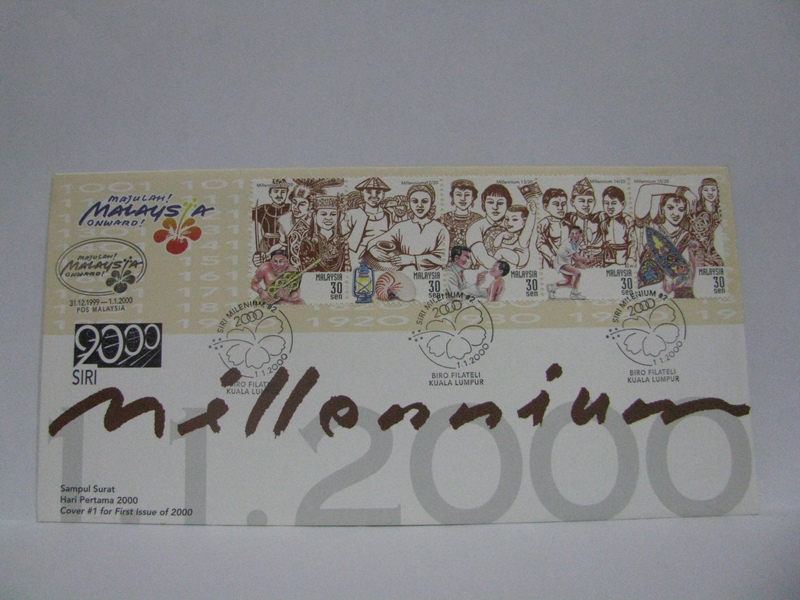 Cover 2: The cover was cancelled with the 01 January 2000 Selamat Datang 2000 (Welcome 2000) cancellation. 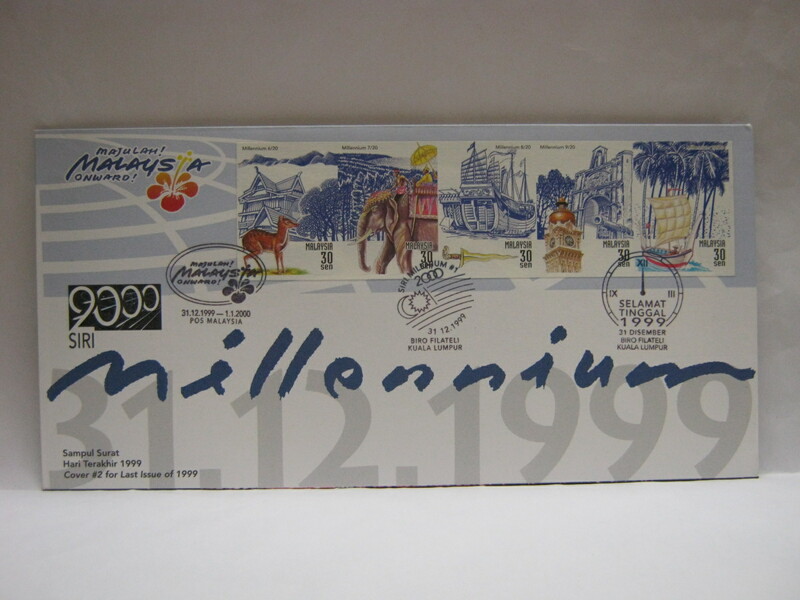 Here is a cover signed by the Executive Chairman of Pos Malaysia cancelled with the 01 January 2000 Selamat Datang 2000 cancellation. 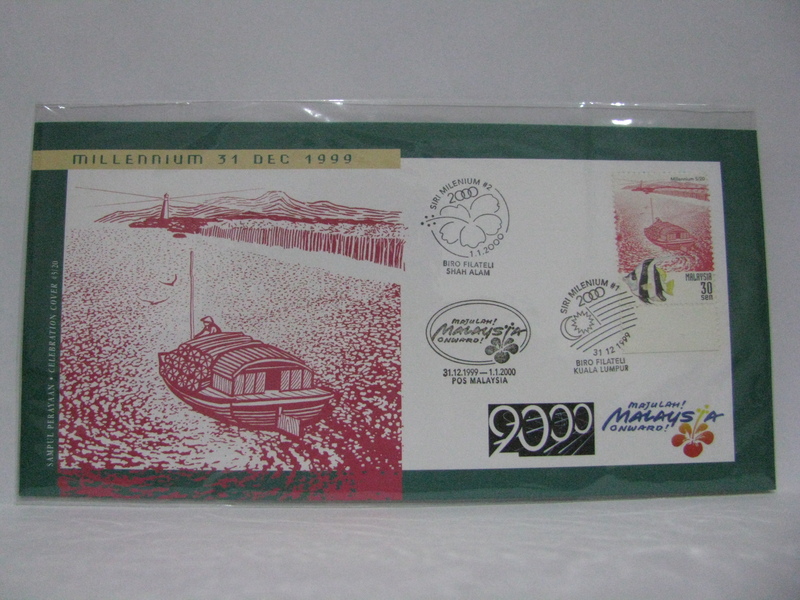 Technically the stamps were already released just after midnight. 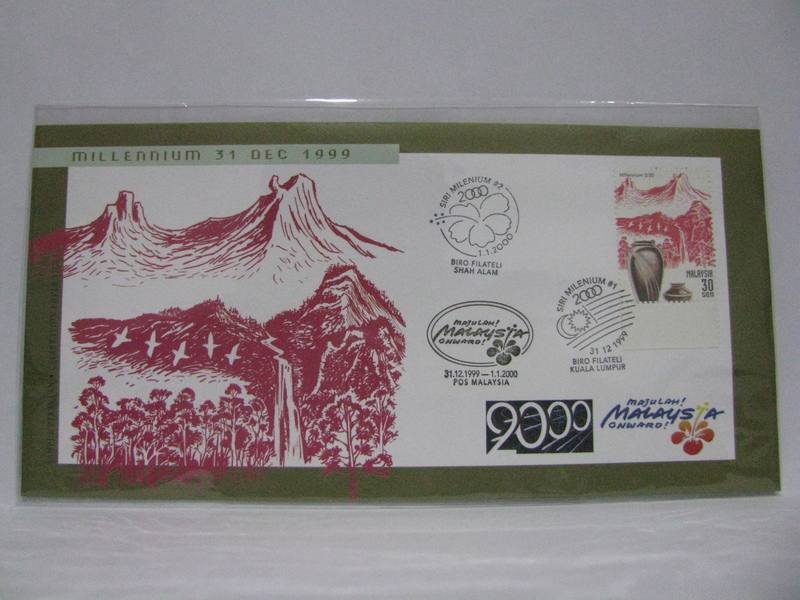 This set of FDCs was cancelled in Kuala Lumpur along with a Majulah Malaysia cachet. 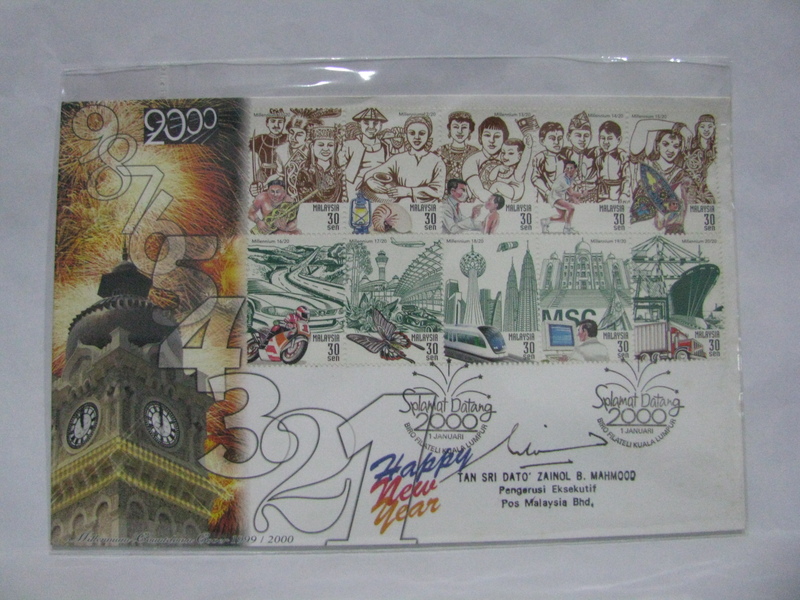 This is the imperforate miniature sheet on FDC cancelled with both the 1999 and 2000 cancellations and cachets. 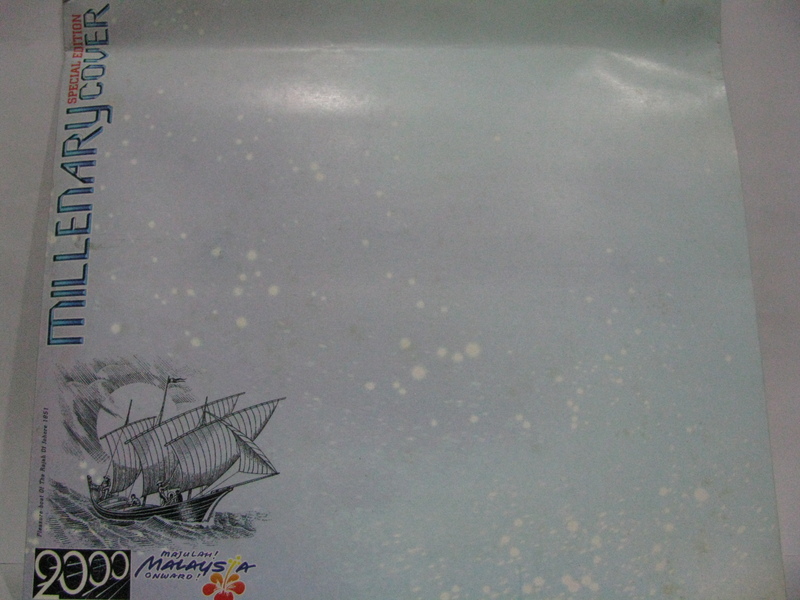 The imperforate miniature sheet is an error. 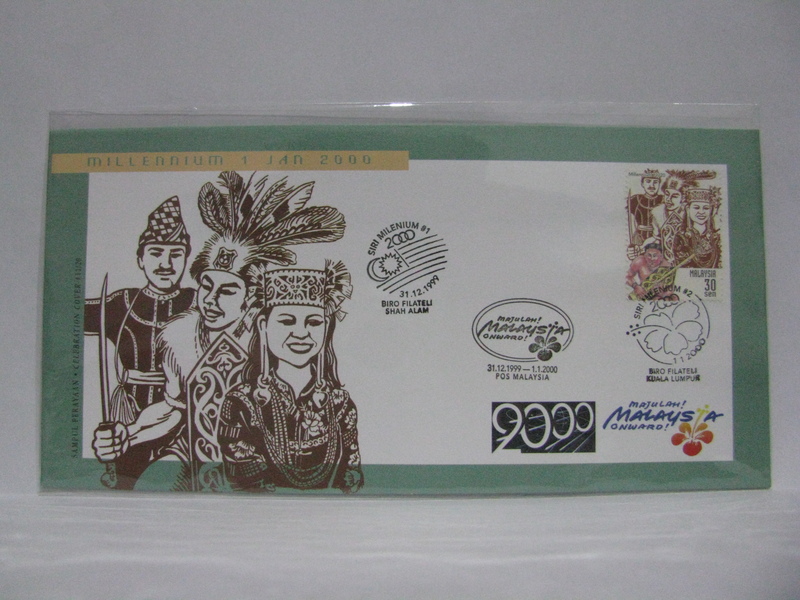 Here are the imperforate stamps on FDCs. 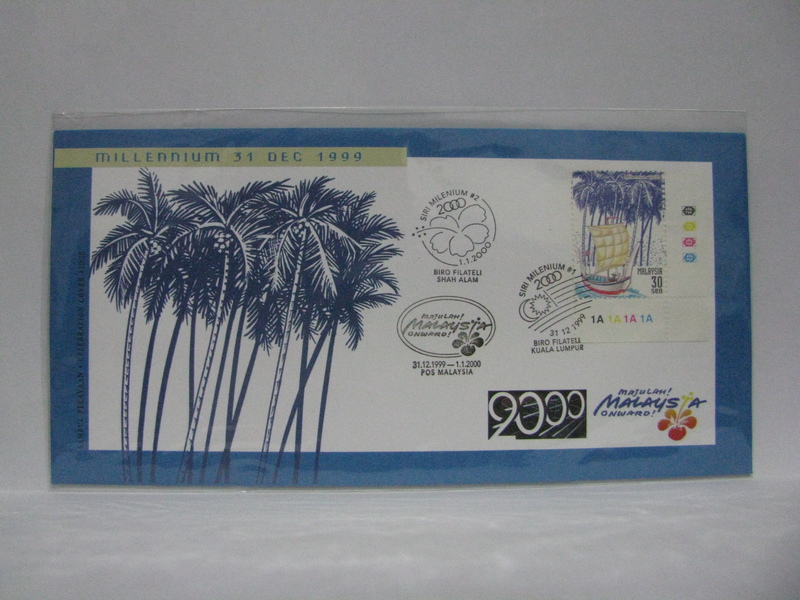 This set of FDCs was cancelled in Kuala Lumpur along with a Majulah Malaysia cachet and the Millenium Countdown Selamat Datang 2000 (Welcome 2000) cancellation. Hold on, that was not the end! 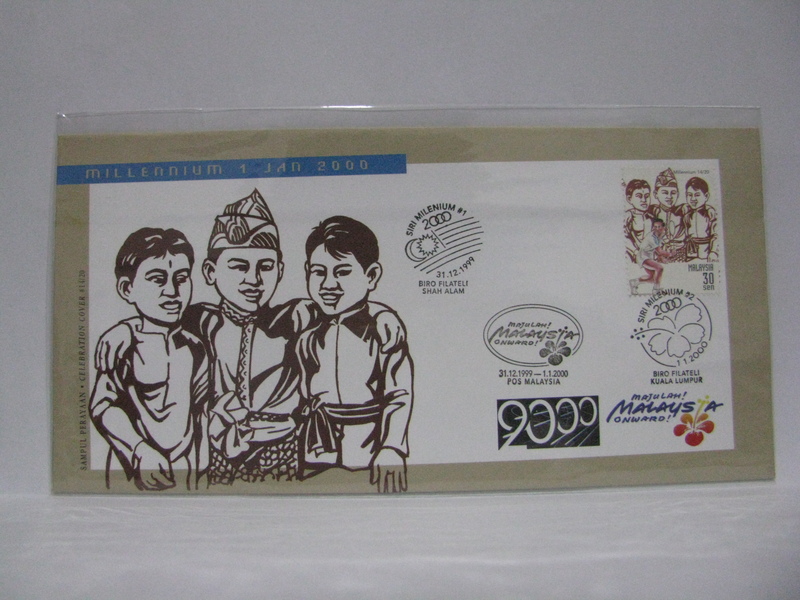 Pos Malaysia issued a folder containing envelopes called Celebration Cover! Very innovative in creating new covers. 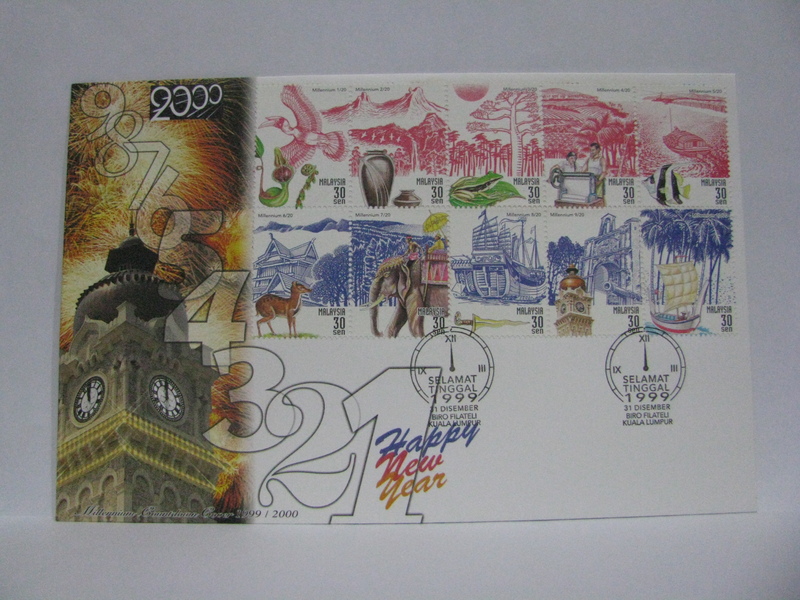 For completeness sake I bought a set of covers and set upon sticking the 20 covers with the matching stamps! It was a long day at the post office. 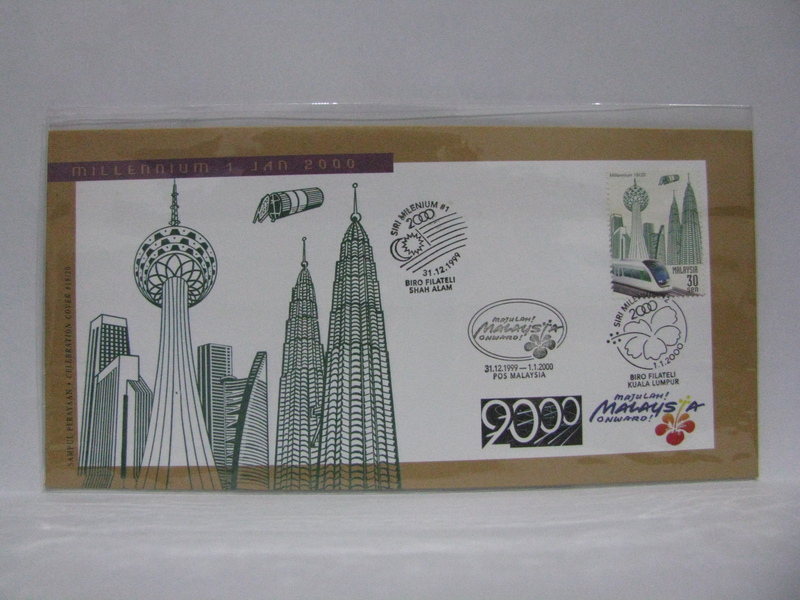 All covers were cancelled with the day of issue cancelletion in Kuala Lumpur and a Shah Alam cancellation to complete the 2 days celebration. 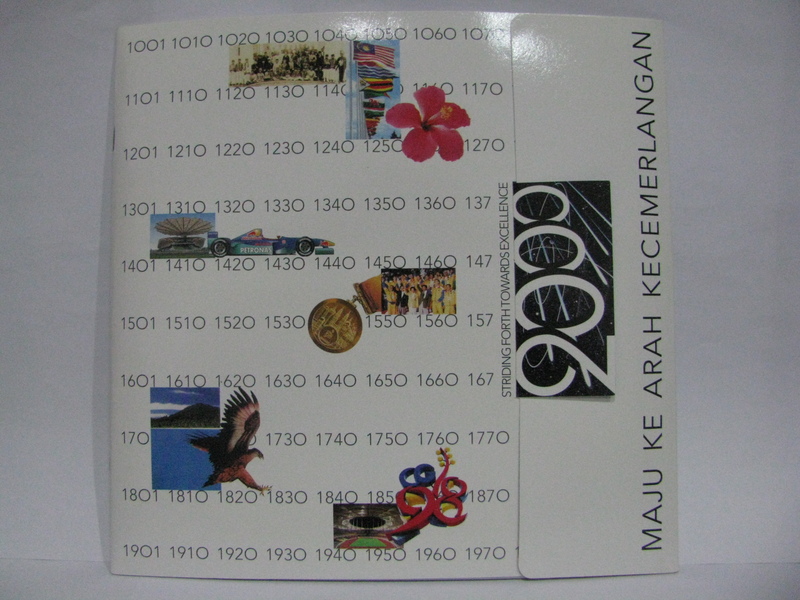 All covers were also cancelled with Majulah Malaysia cachet. This is the folder and the covering. 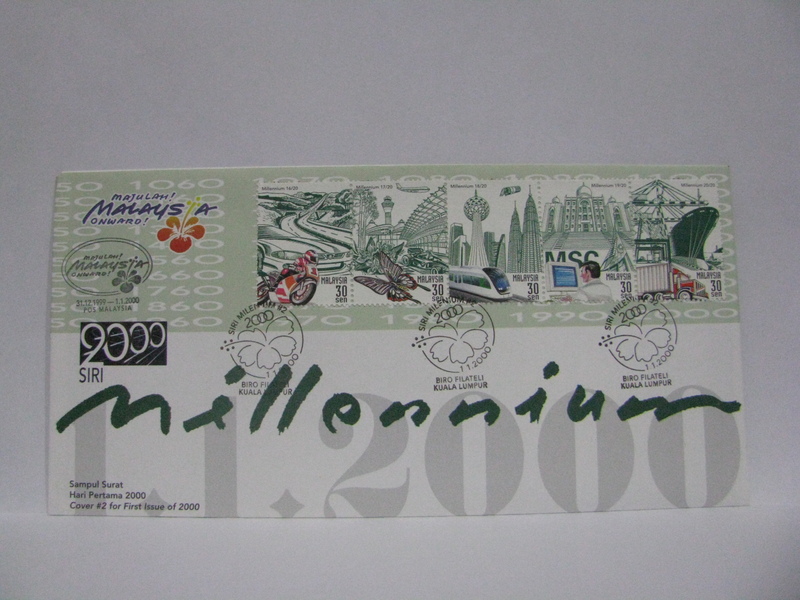 More Millennium Series FDCs were to be issued in the year. 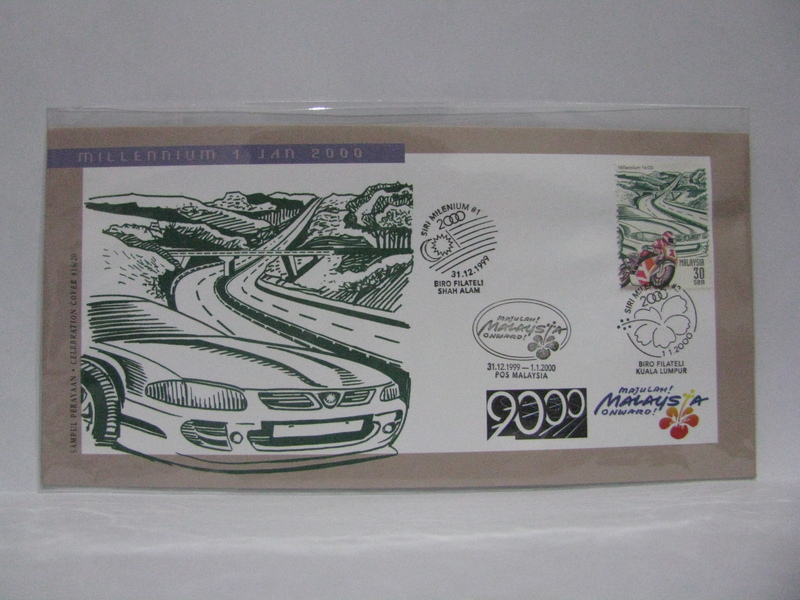 Check out the year 2000 gallery. 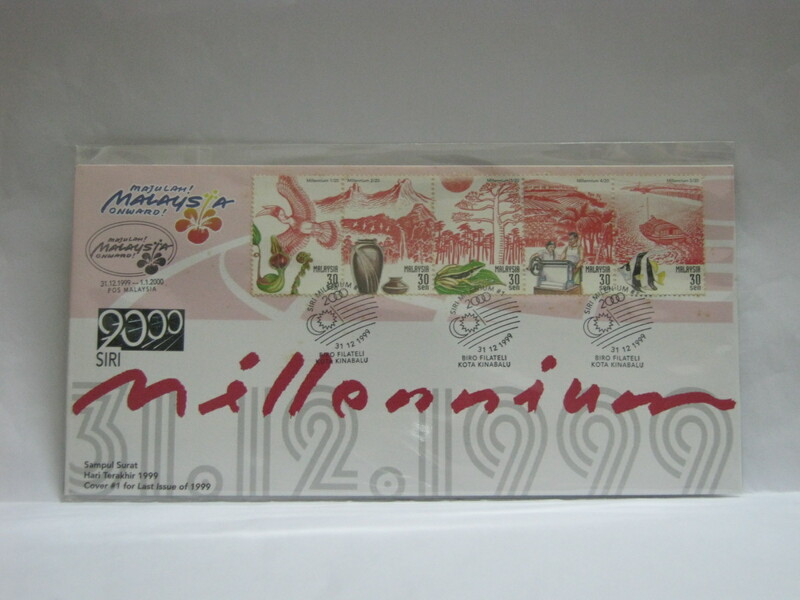 where can i get the millenium stamps issue? 1. Are you looking for all the stamps? 2. Are you looking for all the covers on this webpage? 3. 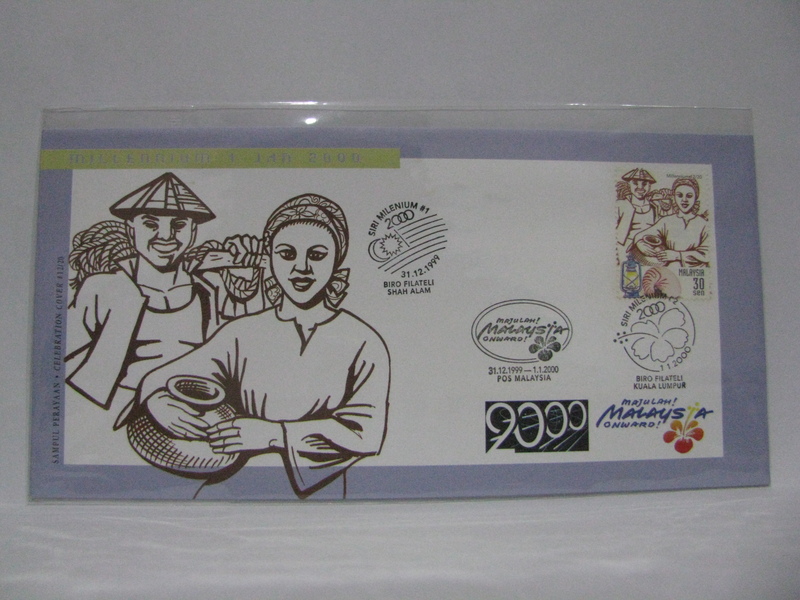 Or are you interested in finding selected items on this webpage? Depending on your requirement, I can point out some sources. It might take some hunting to get everything if you are looking for all the covers. 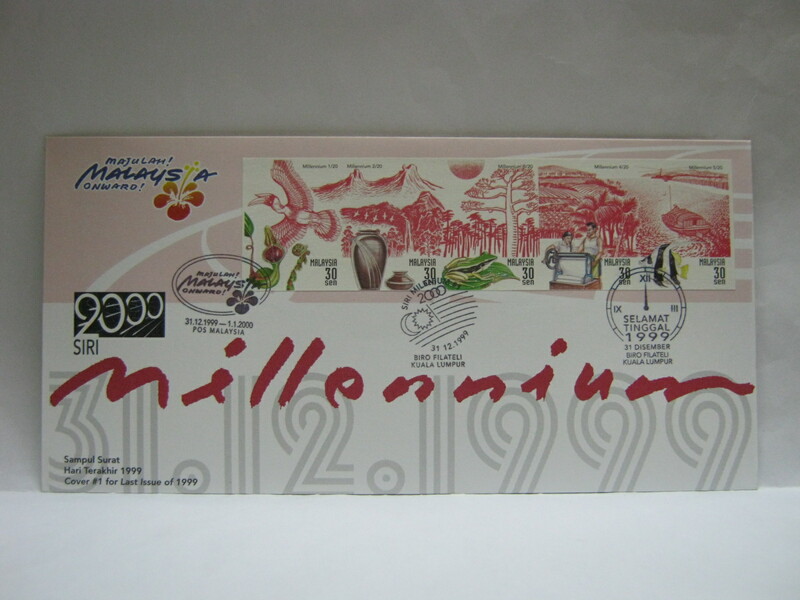 Yes, I m looking for the all millenium covers. Is that possible to find it? And how the price? I was away for a while. 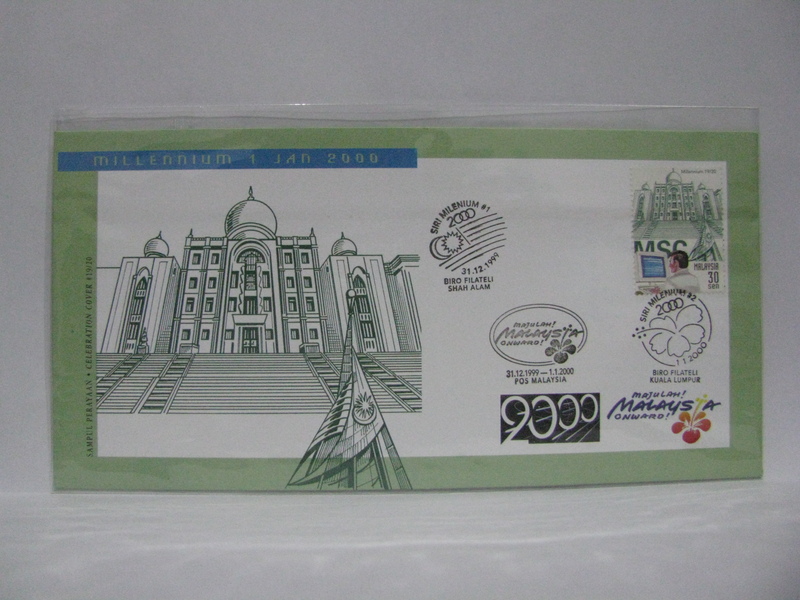 I have the regular Millenium Series 1 and Series 2 covers still in stock. 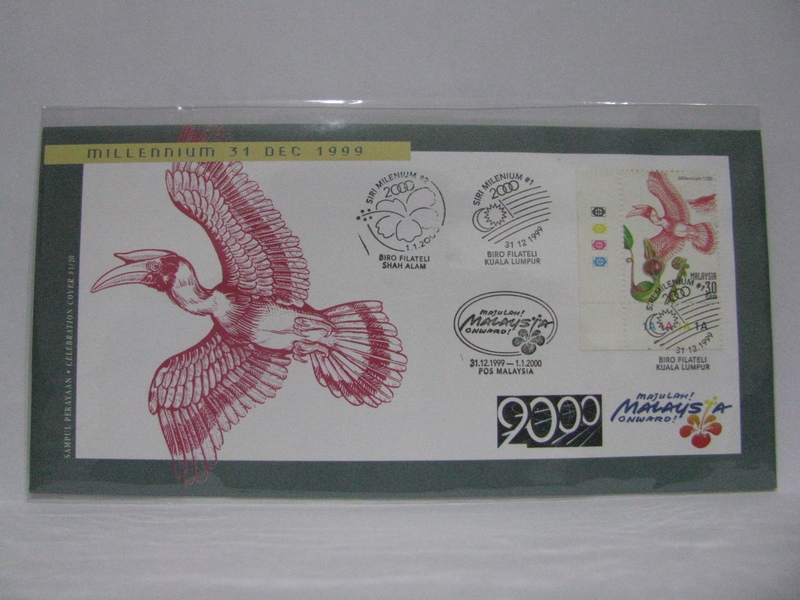 I do not have stocks of the 1999/2000 FDC released at midnight for sale. 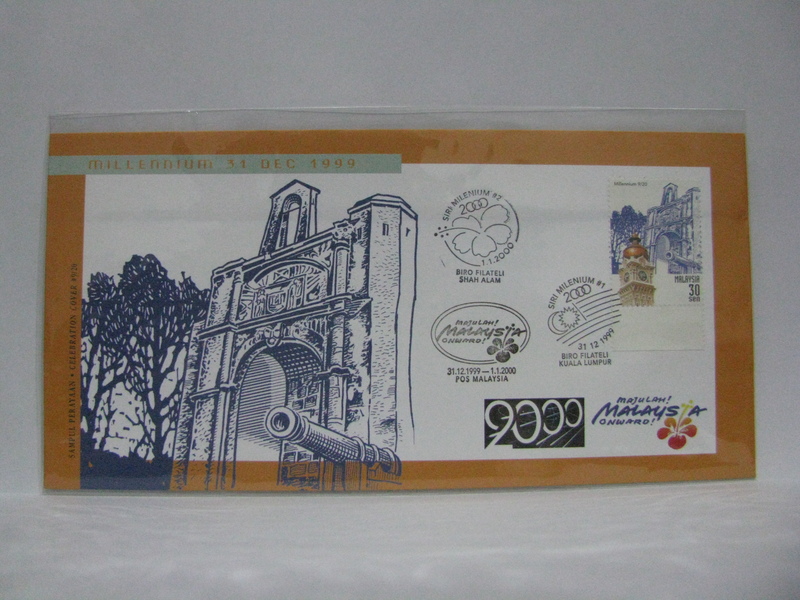 The special envelopes (one for each stamp) in a folder is also not available. 1. 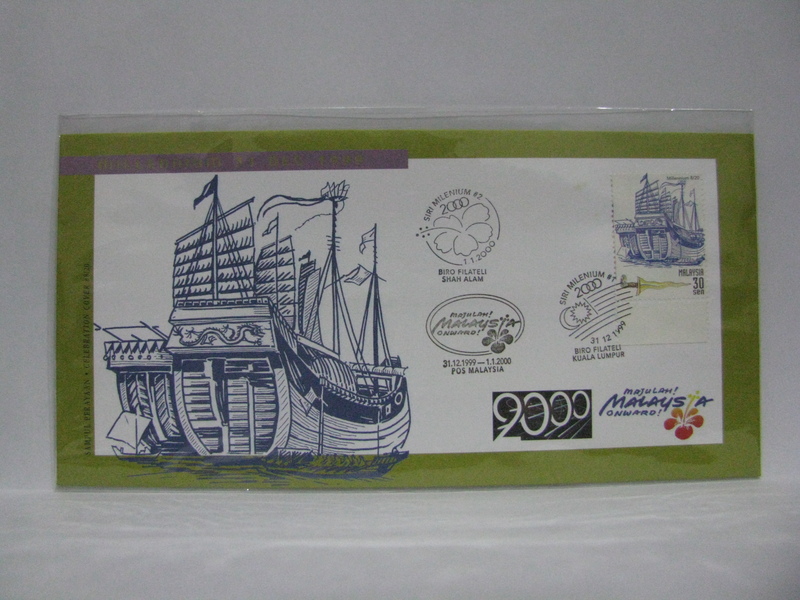 1999 Series 1 and 2000 Series 2 is easily available from stores and eBay. 2. 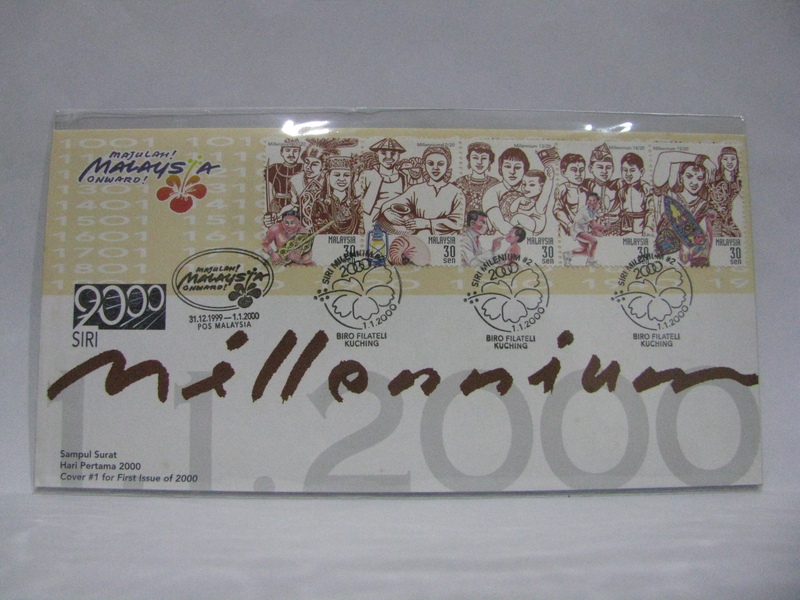 1999/2000 is usually found with stamp dealers but expect a high price as everyone may buy only 1 set! 3. 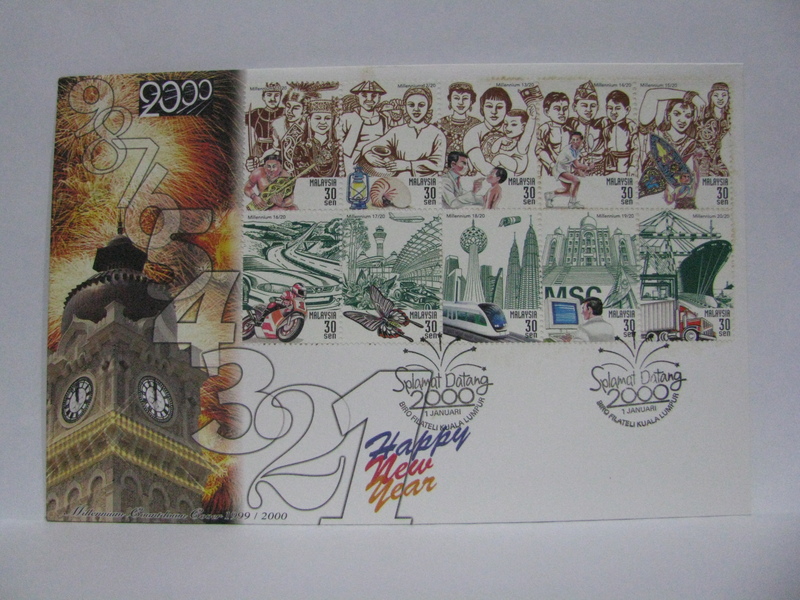 The special covers (one for each stamp) in folder is quite rare as in those days, there were too many issues, so many collectors did not buy. 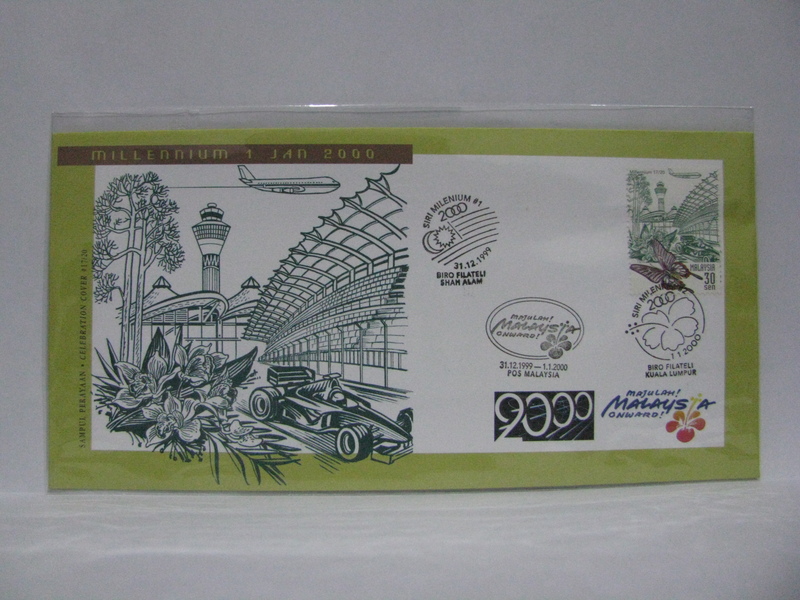 If you want item (1), I can send you the picture and price. It will be lower than the current market price. 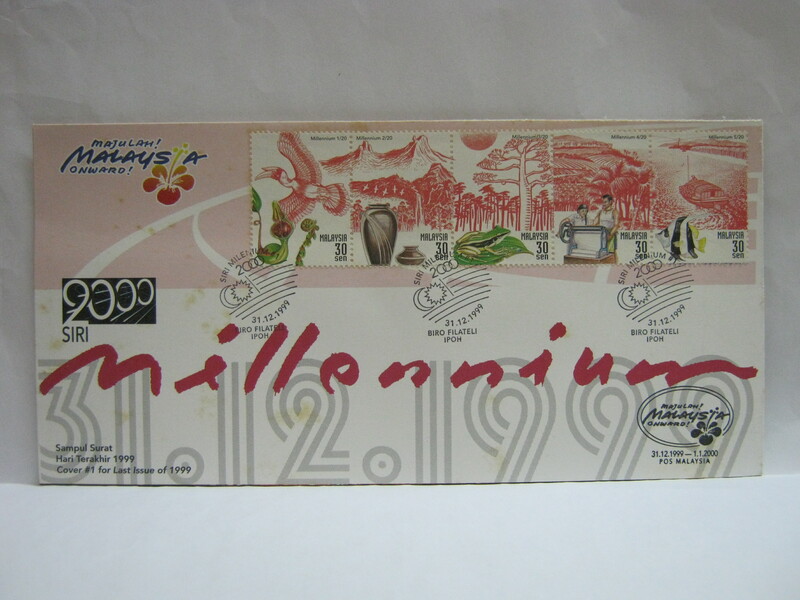 The imperf.RM1 MILLENIUM COVER 2000 ,IS IT FOR SALE.Please the price.I am from Durban,South Africa.I have a small collection of error stamps of Malaysia and would like to add this one.I pay by PayPal. 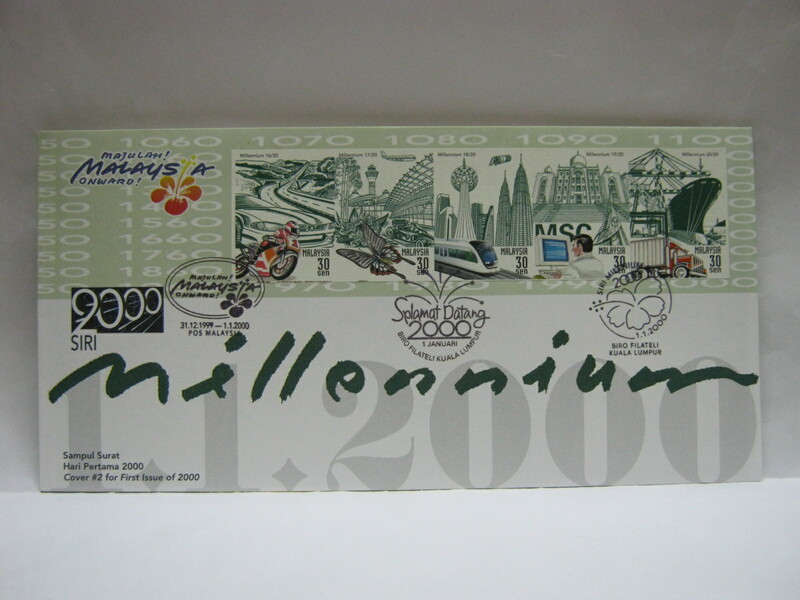 My apologies, the imperf Millenium 2000 on FDC is not for sale. It is a private collection. Yes it is an error stamp. If I come across this in the future, I will contact you. Thank you for reading. Thanks for the reply.You have a wonderful website.Keep it up. If I come across this, I will inform you. Hope that you will visit often.